Our new knife sharpening guide is now available to download. 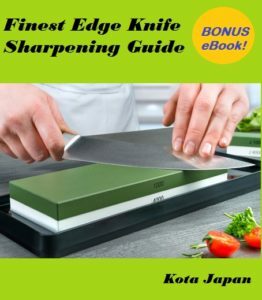 Have a look if you need instructions on the best way to use the Kota Japan Knife Sharpeners / Whetstones. You can view it here or download it to your own device to greater convenience. You can also find it referenced to on our FAQ page. ← Welcome to Kota Japan! Not much to say, I just got the sharpening rod.